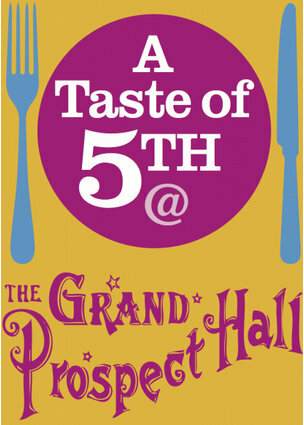 Don’t forget to get your tix for the Taste of Fifth 2013, Wednesday, April 10th at 6:30pm, where every $20 bucks of the ticket price goes to a local charity of your choice. BANG’s very own Greenspace@President Street is on the list of charities so you know the money will be going to a good cause! This entry was posted in Events and tagged charities, food, Greenspace@President, Taste of Fifth by bang11215. Bookmark the permalink.